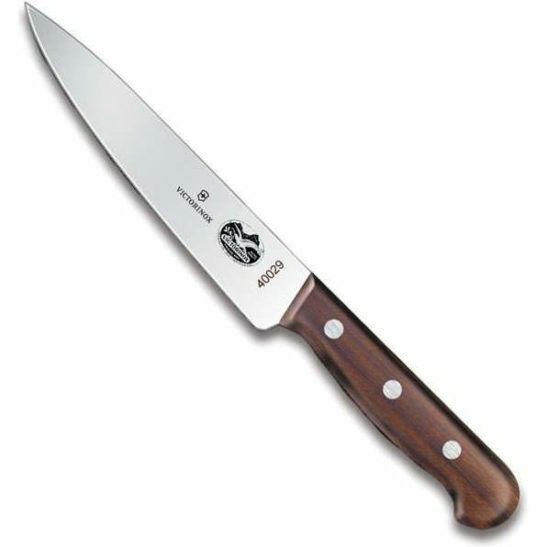 The Victorinox Rosewood 6 Inch Chef’s Knife is made in Switzerland. 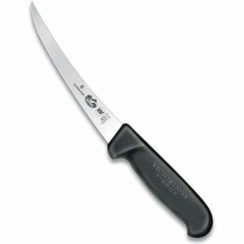 Featuring our proprietary sharp edge and no-slip Fibrox handle, this knife is not only sharp, it also carries the seal of approval from the National Sanitation Foundation. 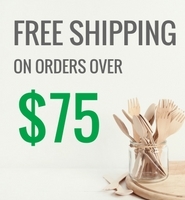 It can be used for virtually any kitchen task. 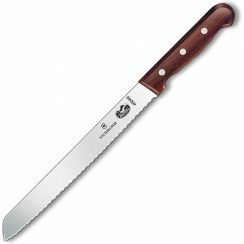 This Chef’s Knife is meant to perform well through a wide variety of kitchen tasks. It features our proprietary sharp edge, and it also carries the seal of approval from the National Sanitation Foundation (NSF). 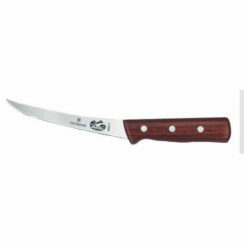 If you’re slicing sections of meat, chopping an array of vegetables, or mincing fresh herbs the chef’s knife can get the job done in both the hands of an up-and-coming student chef or a skilled and seasoned professional.